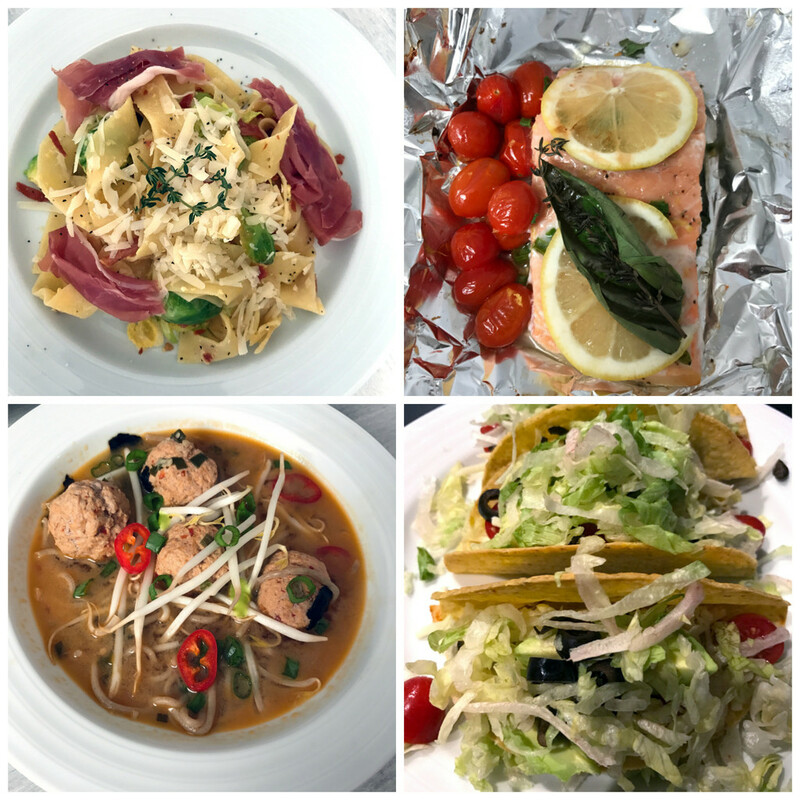 Friday I’m in Love #10: What’s Cooking, Good Looking? Hiiiii. It’s been way too long since I’ve done a Friday I’m in Love post. Wayyyy too long. I blame it on a million things, but mostly the fact that I’m actually quite busy getting some of my 2017 goals accomplished. That combined with the fact that I basically fall asleep on the couch every night with blog posts half finished. Sob. It’s an endless cycle that I’m desperately need to crawl my way out of. Welp, at least today is Friday! One of my 2017 resolutions that I’ve been super busy with is the goal to cook dinner at home more. In 2016, I found myself getting into terrible cycles of planning meals and then being too tired to cook when I got home from work. Which meant we’d go out or order takeout or eat something not very healthy and in the process, waste a lot of perfectly good food. So, I’m super happy to say that January was a success! I made homemade dinners 17 times. I’m pretty thrilled with this number considering I went out with friends a couple times, had a date night out with Chris a couple times, had a delicious dinner brought over by my mom, traveled for work, and had home-cooked dinners at my sister’s twice. We also had leftovers a couple nights (I realized it wasn’t feasible to cook too many nights in a row because my fridge started overflowing with leftovers) and I gave myself a few nights to slack off (i.e. sandwiches or frozen pizza… don’t judge. I love me a Newman’s Own thin crust). Cooking dinner so often was most definitely healthier and also saved money. In fact, because we had so many leftovers that I could also bring to work, I didn’t spend any money on lunches during the week either! I’m also pretty proud that I cooked quite a few meals out of some of my cookbooks. I have quite the library of cookbooks and feel like I don’t utilize them enough because I’m so obsessed with food blogs and food magazine. I’m hoping to continue this throughout the year. 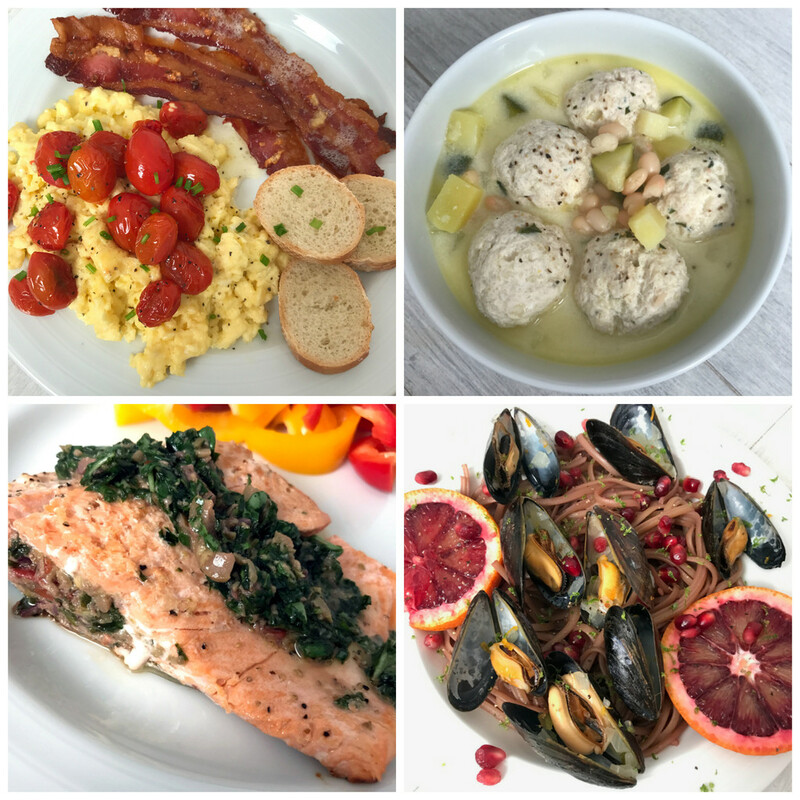 This month I cooked from The Smitten Kitchen Cookbook, Dorie Greenspan’s Around My French Table (twice), Chrissy Teigen’s Cravings (twice), and The Complete America’s Test Kitchen TV Show Cookbook. 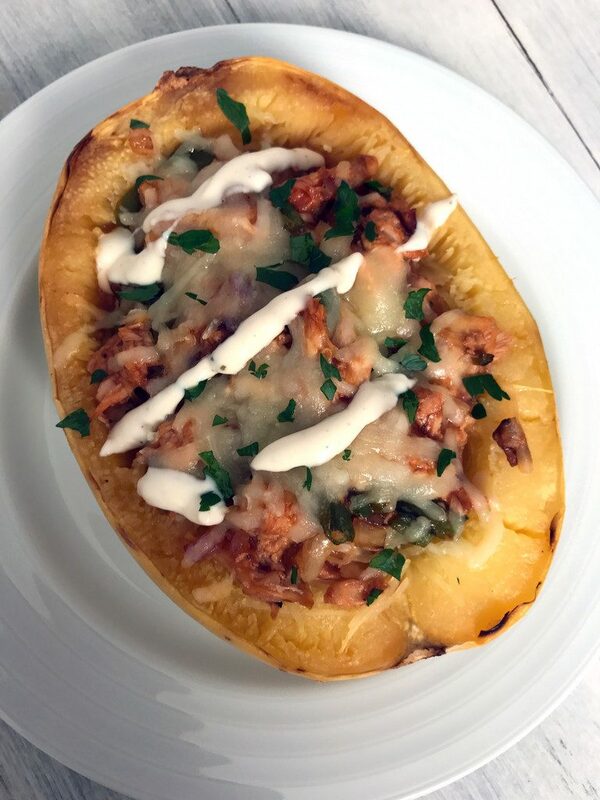 And if I had to choose my very favorite meal of the month… It’s a tough call, but I’m going with this BBQ Chicken Spaghetti Squash from Peas & Crayons. It was a huge winner and a definite would make again meal. I can’t wait to see how I do cooking dinner in February! Moving on… I can’t write a Friday I’m in Love post without giving you Winnie pictures and updates! Over the last couple months, we’ve been working hard on getting her anxiety under control and it has definitely been a struggle. Yes, I know it sounds weird to talk about a dog’s anxiety, but it effects the poor girl so much that it’s heart-breaking. She recently started Prozac (I know…), but it’s been a serious challenge trying to figure out what’s best for her. 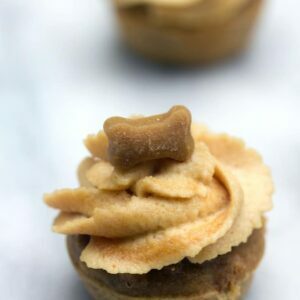 If any of you have experience with extremely anxious dogs, please let me know what’s helped for you! She’s just so sweet and beautiful! 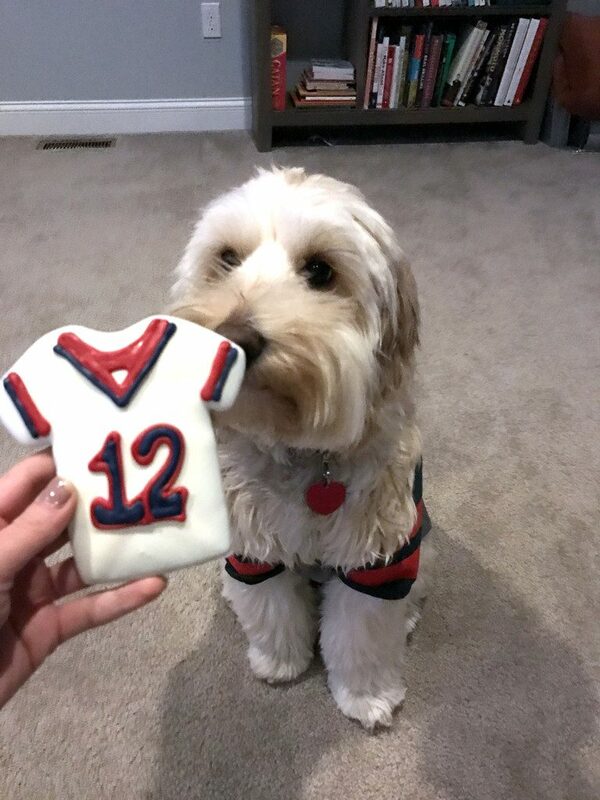 She’s been wearing her Patriots jersey for all the games this year and I’m pretty sure she’s partially responsible for the fact that they’re going to the Super Bowl! P.S. Go Pats!! I got a fancy new camera for Christmas and have been having fun playing with it. I need to take some serious time to actually learn how to use it for real and to brush up on my photography skills. There seriously isn’t enough time in the day! If anyone has any recommendations for an online class, please let me know. And I’ve been basically obsessed with the Instant Pot my sister got me for Christmas. You’ve probably heard of the Instant Pot by now, but if not, it’s basically a pressure cooker, slow cooker, rice cooker, yogurt maker, etc. all in one! I didn’t have a pressure cooker prior to this and now I’m realizing how much I was missing out on (I’m pretty sure I have every other appliance known to man!). I’ve made a few things in it so far, but the best thing about it is that it makes the perfect hard-boiled eggs! I’ll be cooking with this quite a bit over the next several months! Not Just a Crock: The Viral Word-of-Mouth Success of Instant Pot: Speaking of… This is a really cool article about how the Instant Pot craze is huge right now in great part due to “sleeper” marketing. 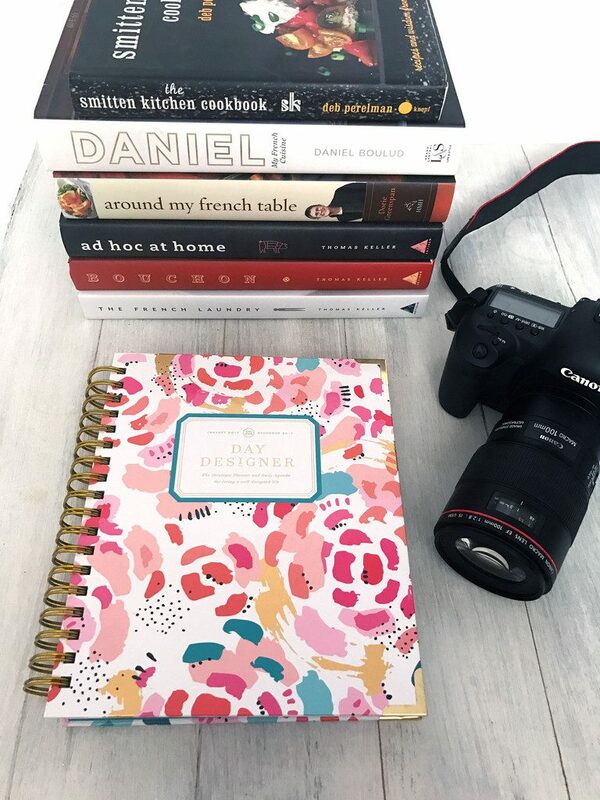 As a blogger who works in influencer marketing (and loves her Instant Pot), I thought this was so cool! Why Do Cooks Love the Instant Pot? 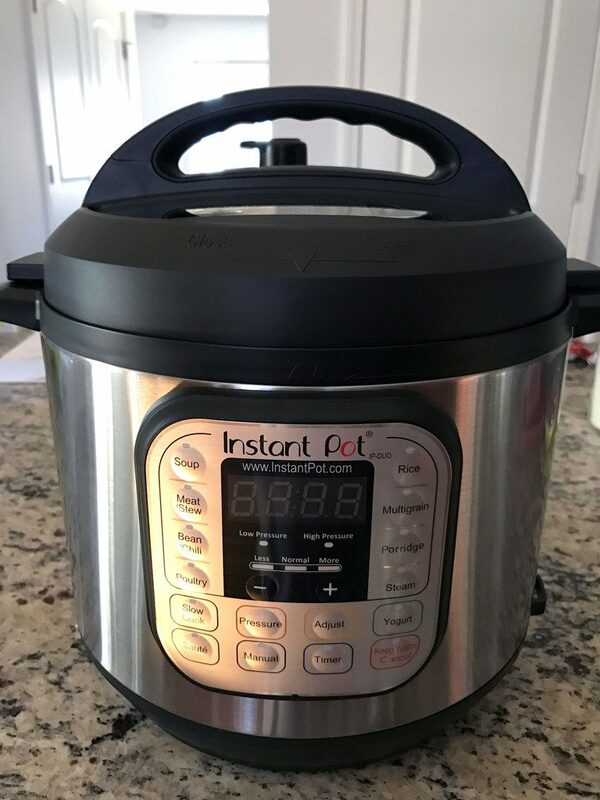 I Bought One to Find Out: Yup, another Instant Pot story. This one will help you understand why people love them so much. Disneyland’s Best Meal Costs $15,000: Yikes. Can that seriously be worth it? The dinner is for groups of 12, but that still breaks down to over $1,000/person. Some day when I’m rich, I’ll go and try it out and let you know how it is! 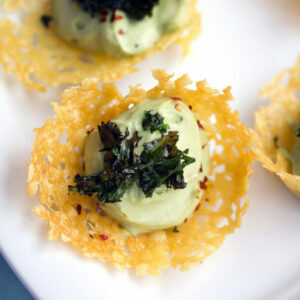 In the meantime, I could go back to the French Laundry for that! 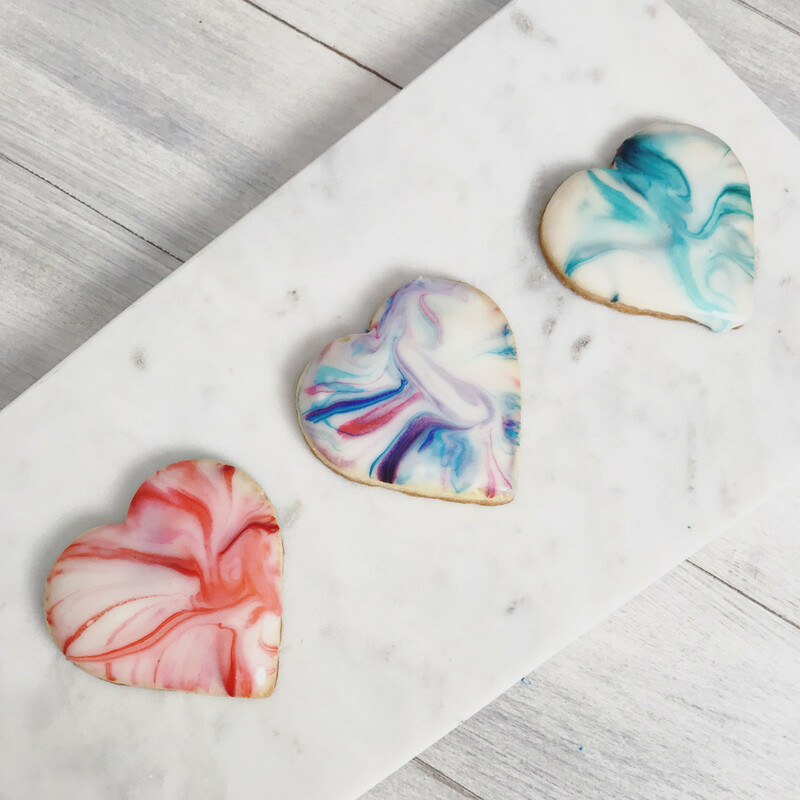 A Cookie Dough Restaurant is Opening in New York This Week: There’s a new cookie dough cafe in New York City and I’m pretty sure I need to plan a trip there just so I can visit. Sigh, why doesn’t anything cool ever come to Boston?? People are Freaking Out Over the New Cookie Dough Kit Kats: Speaking of cookie dough… Cookie Dough Kit Kats. But these are sadly only available in Canada and I am so sad right now (I found them on Amazon, but can’t really justify the price). Science Says Eating Chili Peppers Could be the Key to a Longer Life: It’s because of the capsaicin and that means I’m going to live foreverrrr. Basically. Morton Salt on a Mission to Become the Hippest Seasoning in the World: It’s funny because I literally just noticed that Morton’s suddenly had all of these super trendy salts on the market. Now I see that they sponsored an OK Go music video and want their salt to be thought of as a “lifestyle” choice. Do you think they can do it? ‘Tis the season for blood oranges, which makes me incredibly happy. I had to school a woman on blood oranges at the grocery store last week (she was v. overwhelmed by the large selection of oranges) and then I bought like 10 of them because I’m constantly worried they’ll disappear again. Something tells me this cake needs to be made. I’ve been feeling a little bit under the weather lately, but it’s seriously been well over a year since I’ve actually had a cold. I pride myself on my immune system and the fact that when I feel a sickness coming on, I’m generally pretty awesome at fighting it off before it really hits. 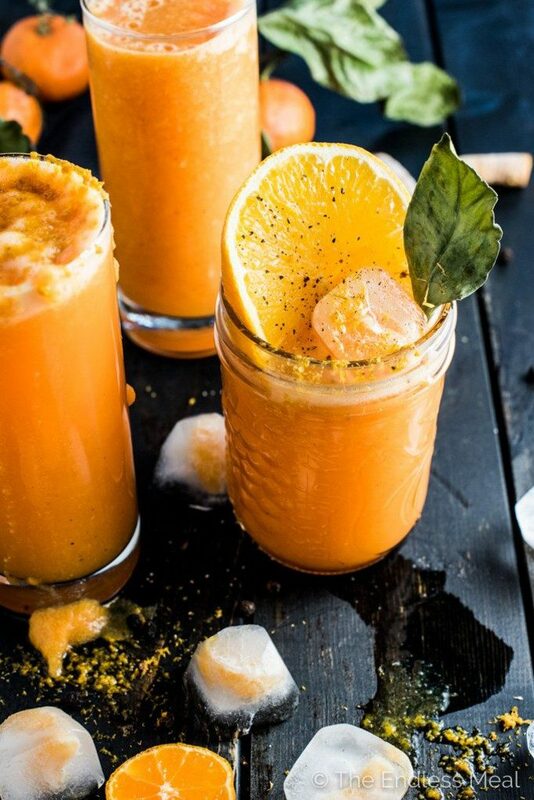 I usually do that in the form of green smoothies, but now I’m craving this bright orange detox drink. 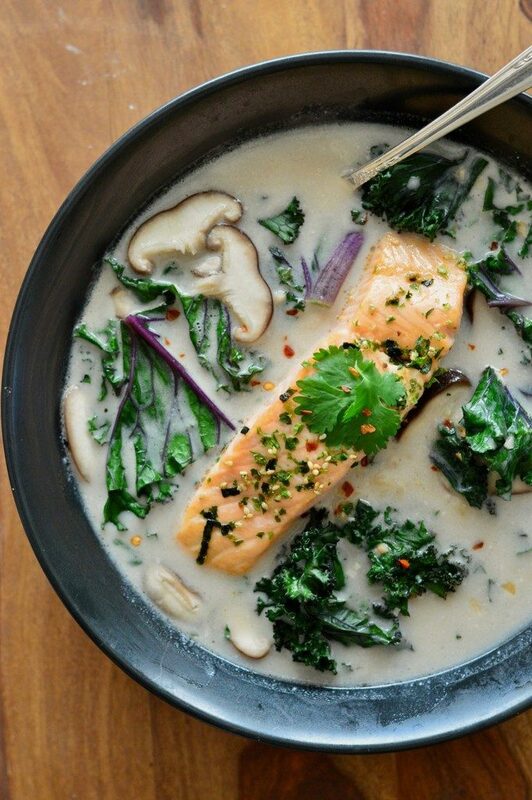 I’m always looking for new salmon recipes (Based on my January diet, I’m realizing I need to get more fish into my diet) and love that this salmon is in a pretty coconut soup. 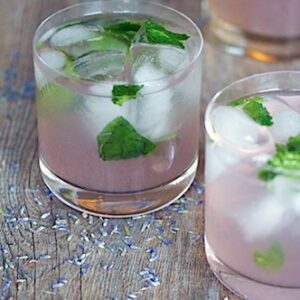 This is my idea of a dreamy dinner (but please… throw in some garlic bread on the side). Because it’s basically impossible to break eye contact with these pancakes. And because I want carrot cake for breakfast. I hope you’re all having a wonderful start to February and are looking forward to an amazing weekend! Let’s all cheer for the fact that we made it out of January and we’re that much closer to spring. Annnd though I really don’t want to jinx anything, I have to say that this winter has pretty much been a breeze so far (aside from the day my train was an hour later and I’m pretty sure my feet had frostbite). My family just booked our summer vacation (you know… only 6 months away), so I’ve got warm weather and the beach on my mind. We can do this!! In the meantime, we’ll eat. 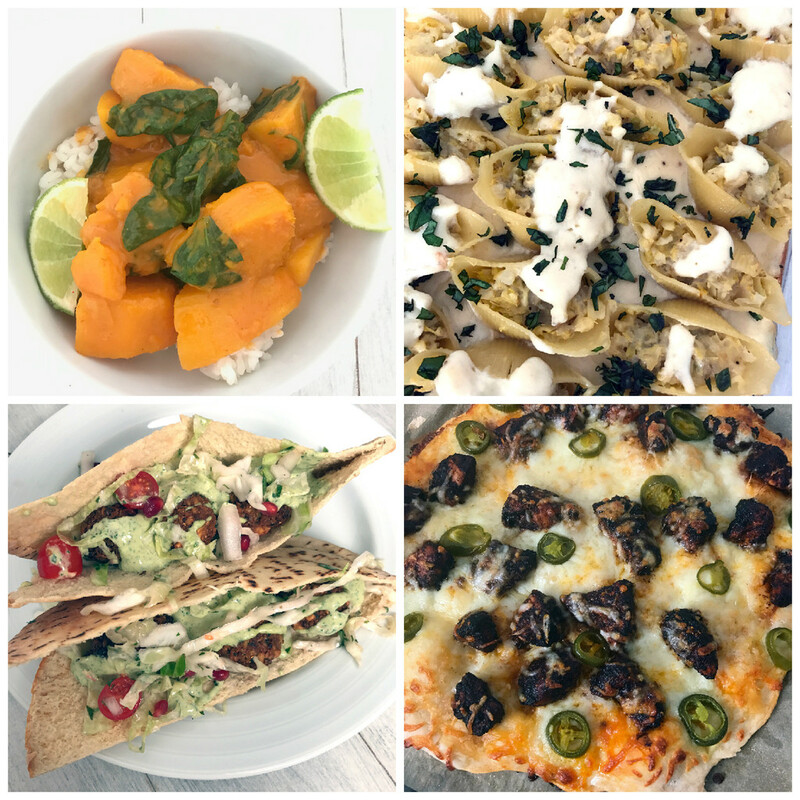 What was your favorite dinner of January?? 13 Responses to "Friday I’m in Love #10: What’s Cooking, Good Looking?" AHHHH you just made my day – thank you!! 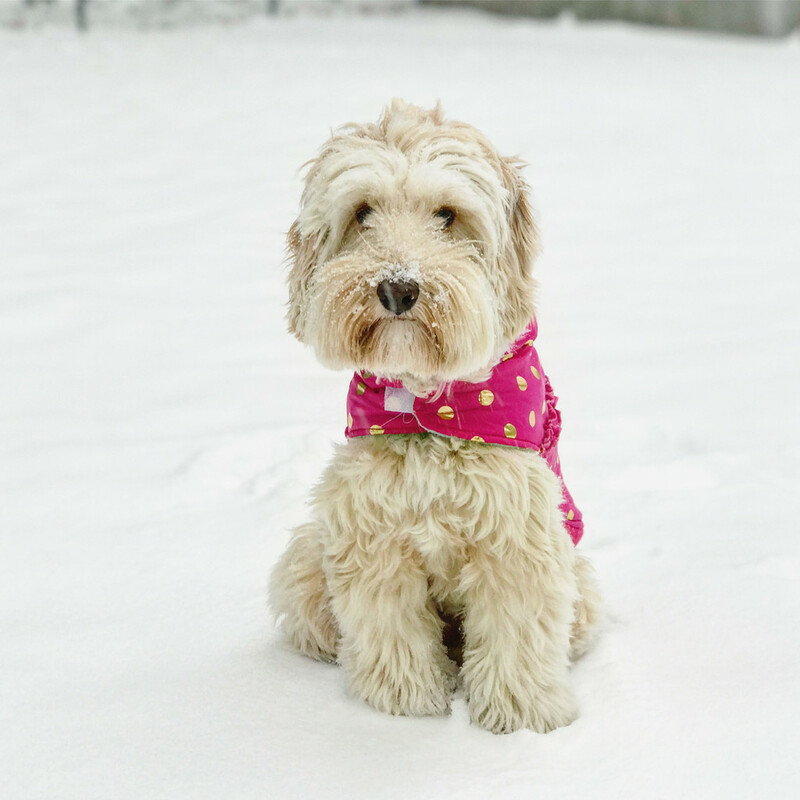 So thrilled you loved the recipe 🙂 Winnie is beyond adorable and I’m so excited for your budding Instant Pot relationship – girl that thing is my life saver!!!! 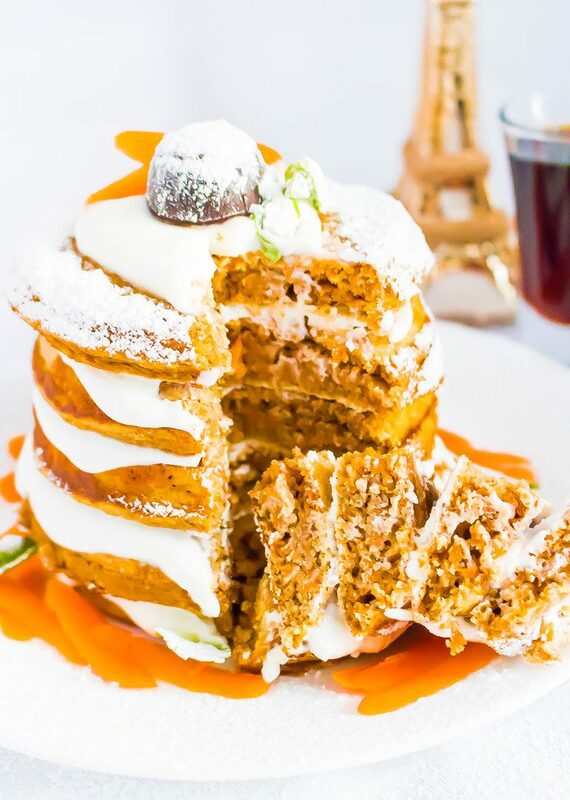 Have to make those carrot cake pancakes again! nice job cooking all these meals in January! they all look so beautiful. what is your new camera?! @Kristen I got the Canon Mark IV and am loving it so far! I’m so impressed with your cooking! I’ve been trying so hard to cook more creative healthy dinners lately and i’ts definitely some work but almost always worth it. What an incredible, jam packed post! 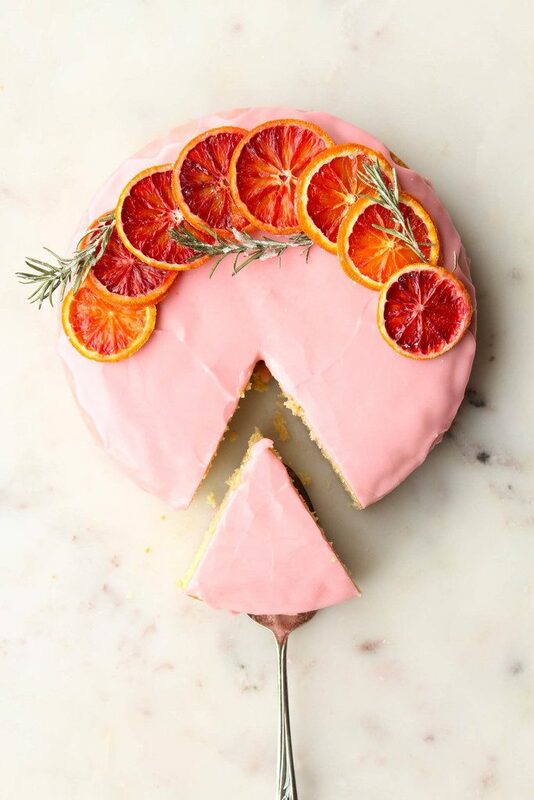 That blood orange cake looks especially wonderful too! You are doing an amazing job with everything, Sues! 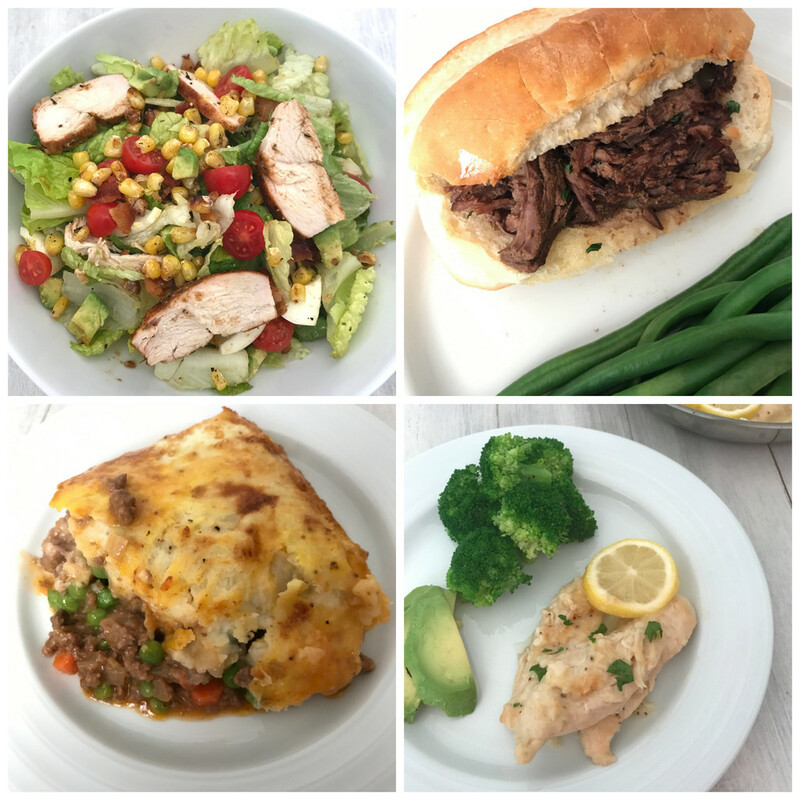 Everything looks delicious – and now I’m dying to try the spaghetti squash too! Amazing you hopped onto my blog when I was writing about tissue salts. You get something called rescue remedy. Find out from a holistic vet or vet shop for the alternative for dogs. I use the rescue remedy spray for mine. With all the amazing dishes you cooked you should never want to eat out. 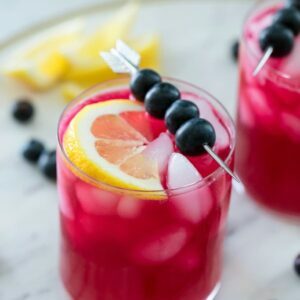 Love these posts and seeing what you’re loving! Congrats on getting started on those goals girl!! Hope your 2017 is amazing! That spaghetti squash looks awesome, keep up with your goals!!! 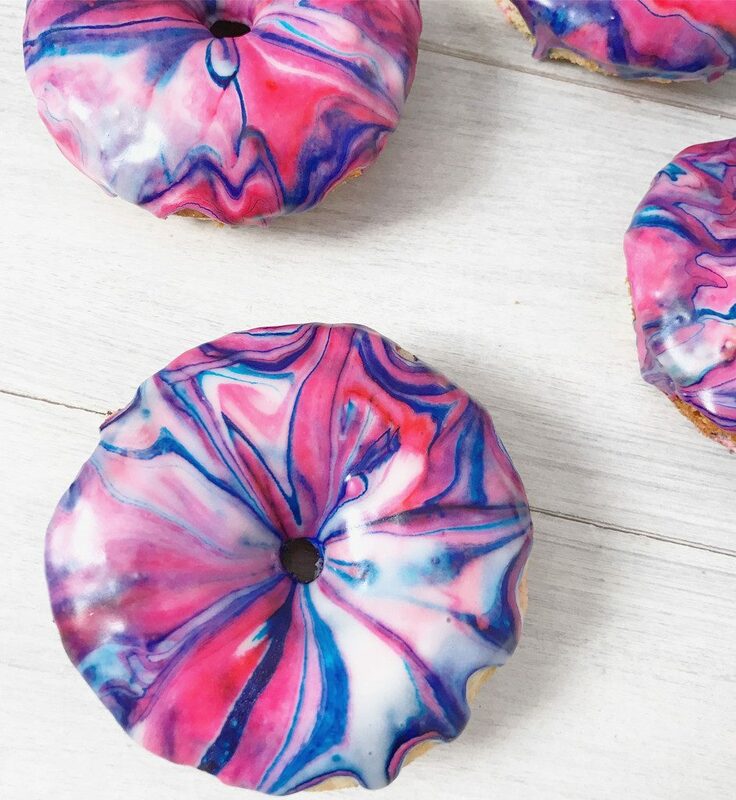 And those donuts, too cute. I’ve yet to get an instapot….I keep thinking about it…but haven’t jumped in yet! Oh man, the spaghetti squash looks awesome, it was calling my name for sure! Too much goodness in one post, why I love visiting here.